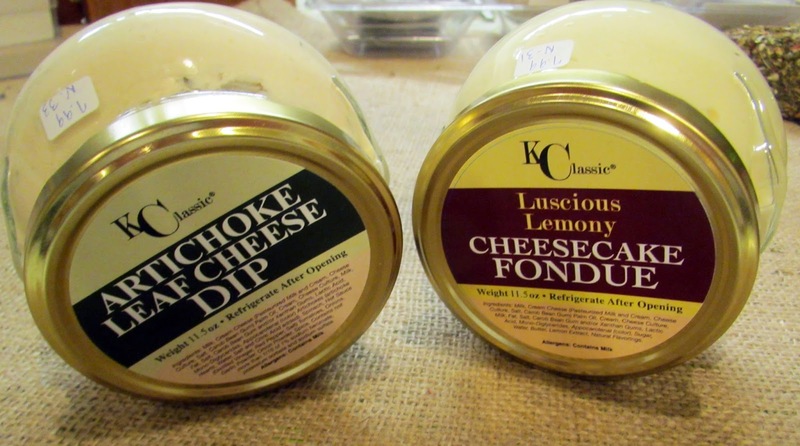 Here are two delicious recipes to use with Green Olive & Pimento Dip and ChocCherry Amaretto Dip from KC Innovations that are quick. easy and will make you a hit at any party. 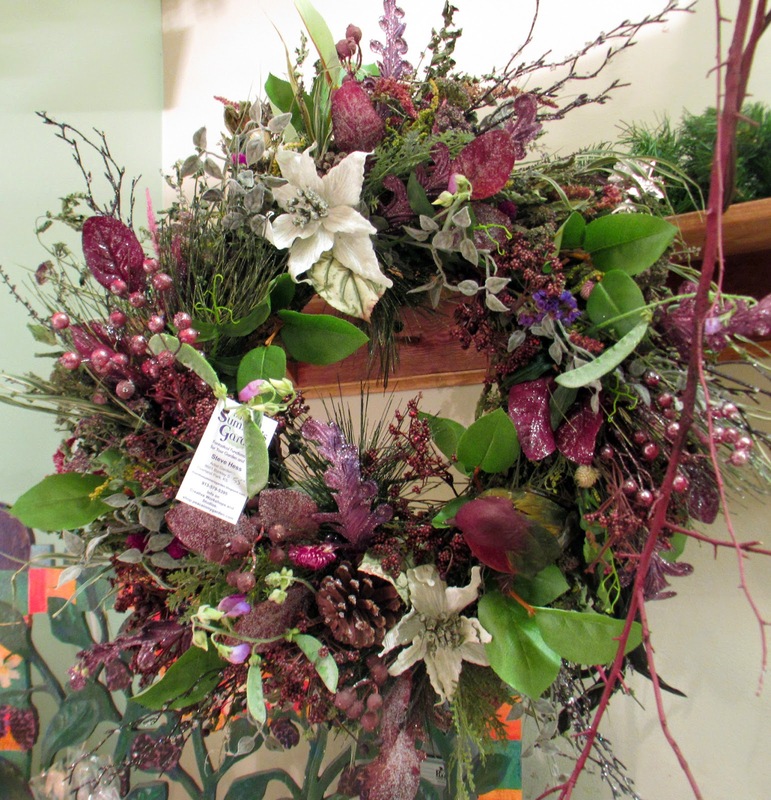 Nina Ward will be sampling these Saturday, Dec. 6, at A WORLD OF GOOD from 10:00 - 5:00. These are perfect for taking to work for an office party or holiday gathering at your home. 24 mini tart shells using your favorite pie crust recipe or purchase prepared mini-tart shells. 24 frozen black cherries pitted, thawed and drained. -Glaze the cherries by heating them with the sugar in a sauté pan over medium heat, swirling the pan to prevent the cherries from burning. When sugar glazes the cherries and begins to thicken remove from heat and allow to cool. - Heat the dark chocolate and cream together in a small heatproof bowl over a pot of simmering water, stirring until smooth. -Fill each mini-tart shell with 1 tablespoon KC Innovations Choco Cherry Amaretto Dip. -Center 1 cherry atop the dip in each shell. -Top with a spoonful of the melted dark chocolate. Cool. -Garnish with piped whipped cream. -Pulse olives with minced garlic, lemon zest and olive oil I n food processor. -Add I jar KC Innovation s Green Olive & Pimento Dip and pulse just enough to blend into chunky to olive mixture. -Serve as a spread with crusty sour dough bread chunks or slices. Anyone can try their hand at making a collage. Here's your chance! 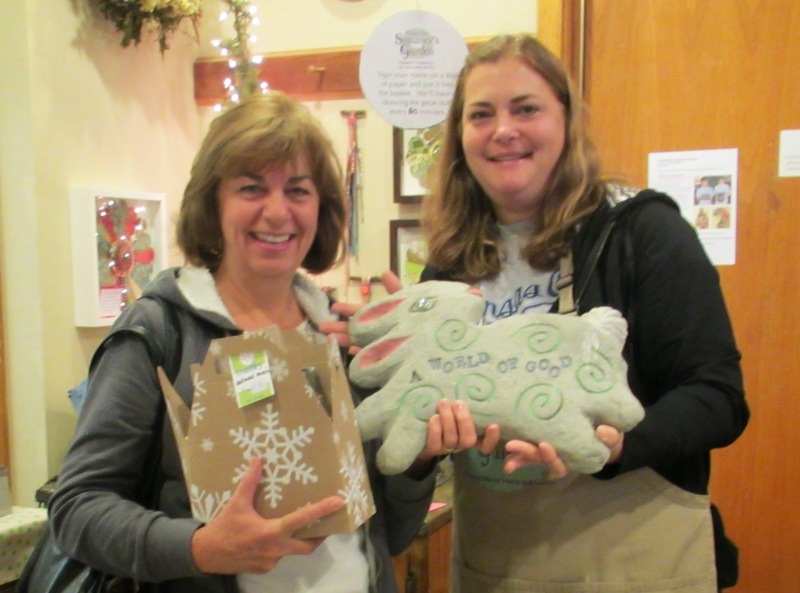 Join Lisa Freeman in the studio at A WORLD OF GOOD this Friday and create your own wood block collage. 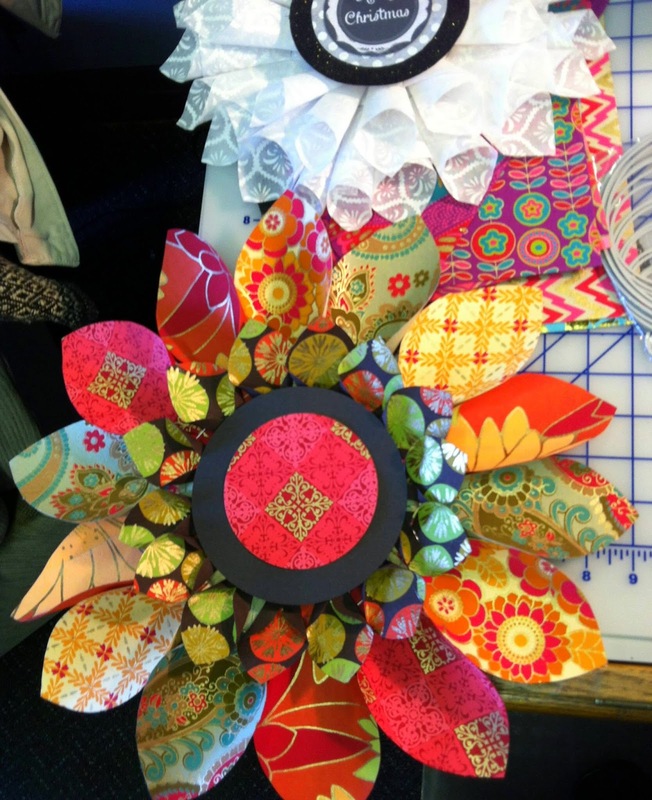 Limited materials (wood base, crepe paper, magazines to cut apart, scissors, brushes and Mod Podge) are provided but you need to come with an idea. Is there a quote that is near and dear to your heart? Are you passionate about anything in particular? Ponder the possibilities and come be creative on Friday. This workshop is ongoing throughout the day on Friday. and can be done into time. Cost is $10 per wood block. Just drop in when please! 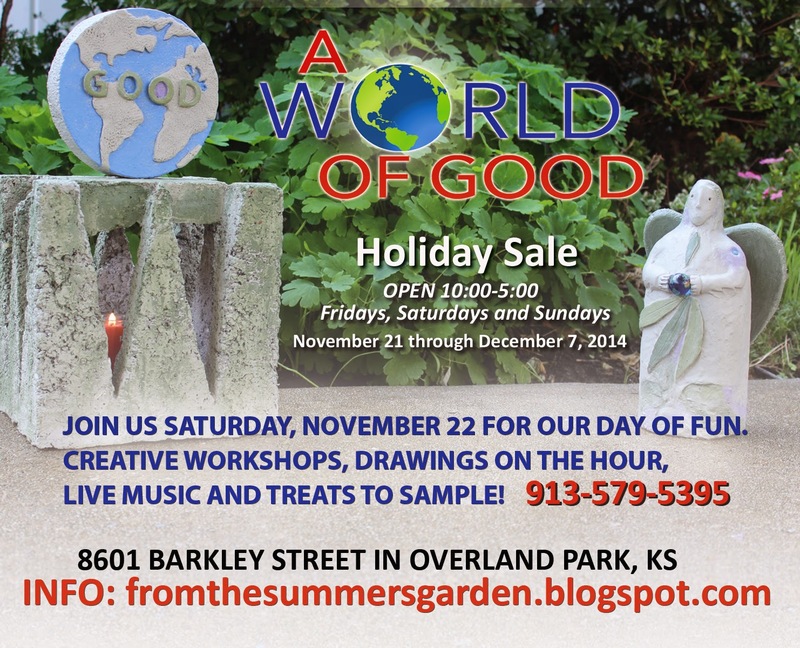 can take this Saturday, December 6 at A WORLD OF GOOD. 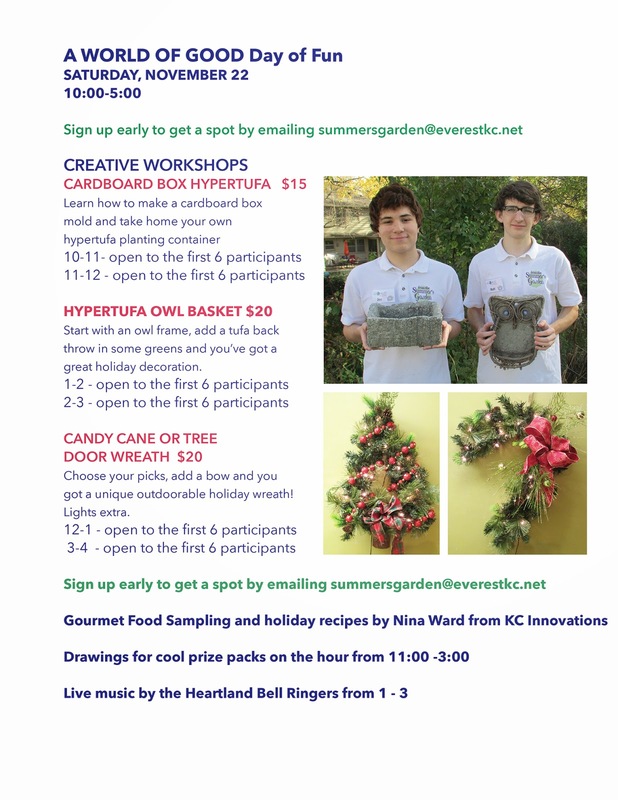 Sign up by emailing to summersgarden@everestkc.net or just show up and get going! Put together a permanent arrangement of faux succulents that looks real. Pick a container, and build your arrangement! What is a Little Fatty? A book made from all of your recycled papers and cardboard. Once you learn to make a Little Fatty, you can make any size, any shape, the trashbin is your only limit! This is a fun easy book making process. The Fatties can be used as journals, love note books, smash books, you name it! You will learn how to make your cover, cut your pages and bind your Fatty. We will be making a 3" x 3" book. Robin will provide materials for your book. Do bring trash paper for your pages to make your book more personal. 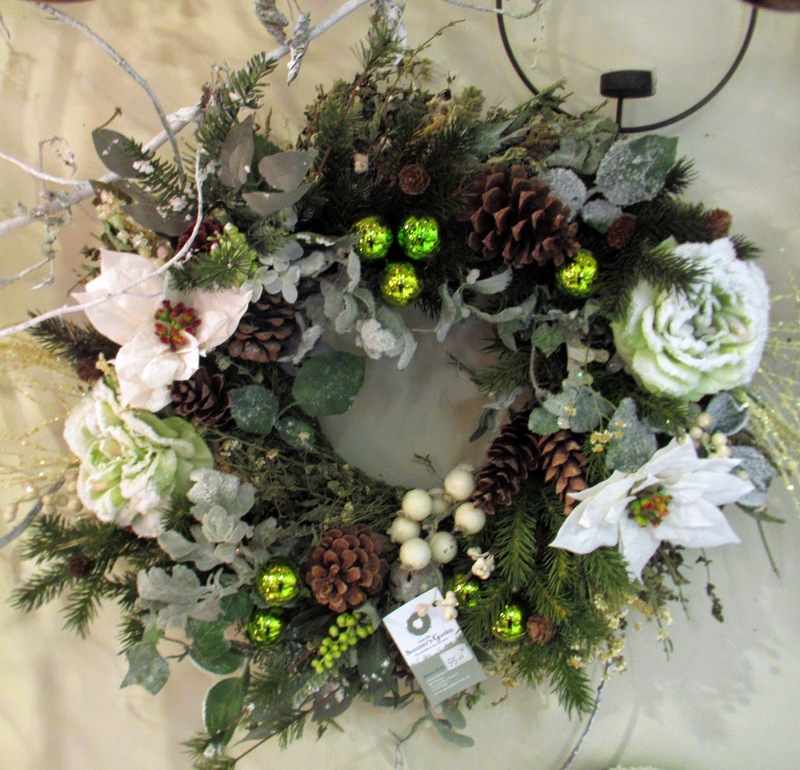 Join Shelly in making a one of a kind Handmade Paper Wreath that you can put on your door or give as a gift to a friend. All materials are provided. 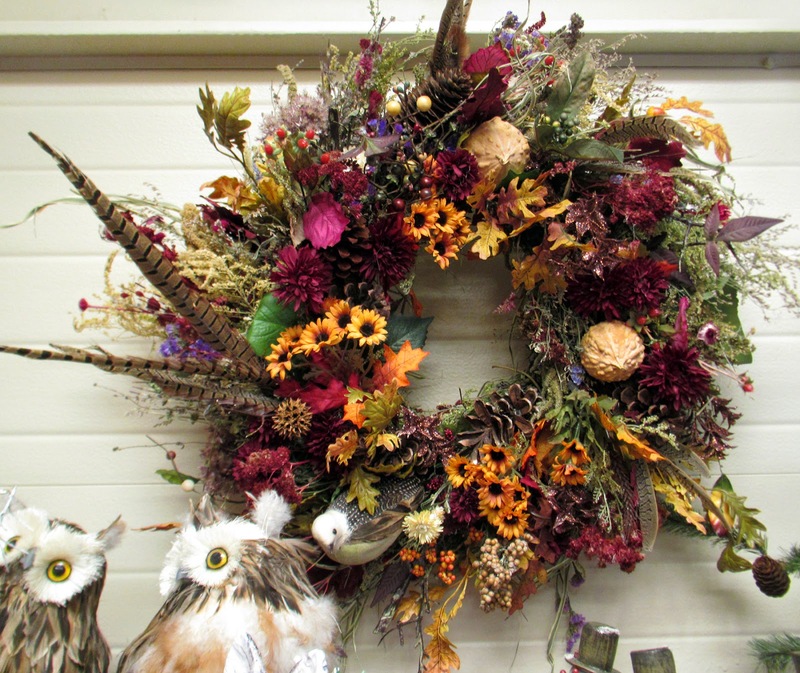 Just show up and she will walk you through the steps to making a lovely handmade paper wreath. 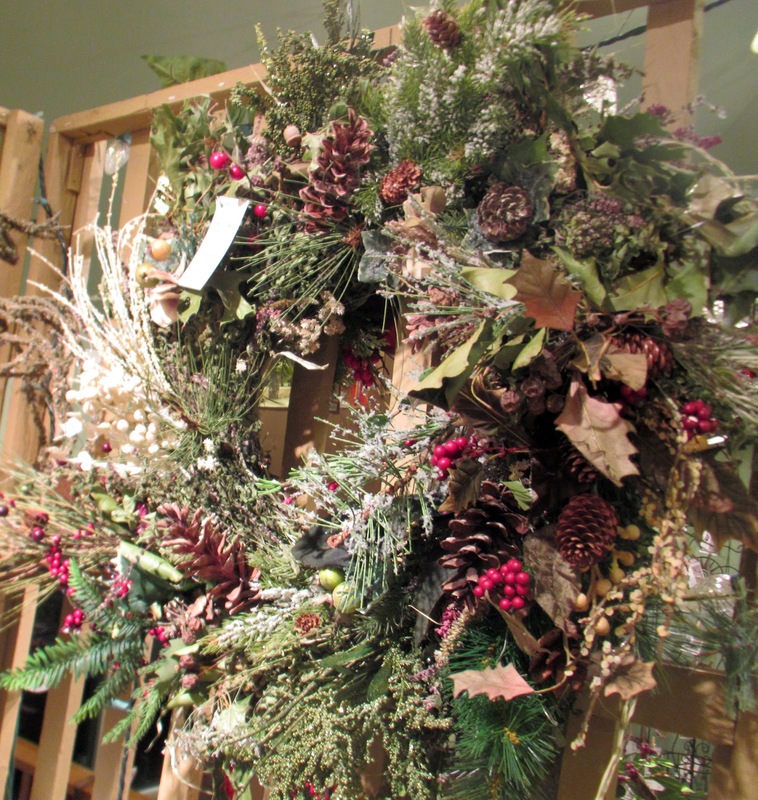 Build an outdoor garland for the holidays from a selection of cast concrete shapes. 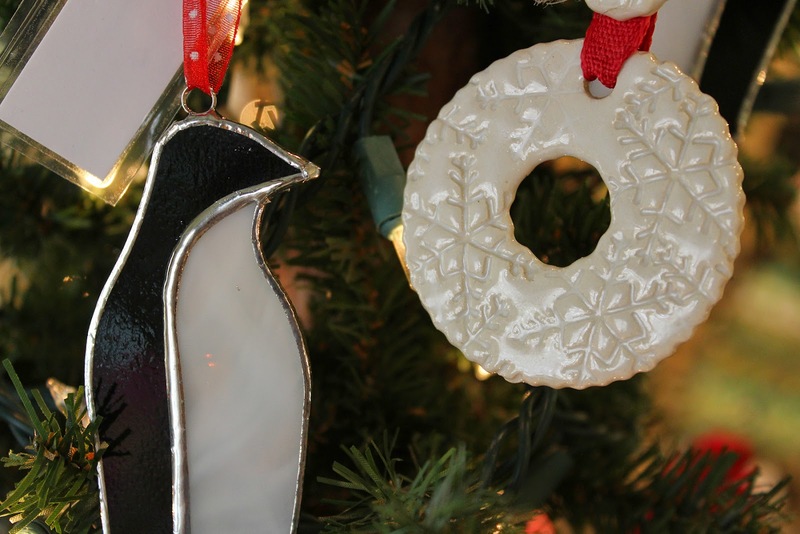 You'll paint them and wire them together just in time to put up outside for the holidays. You can even add glitter if you want sparkle! If you can't make the other workshop times, here's your chance to get in on the fun. we'll help you make any of these projects. 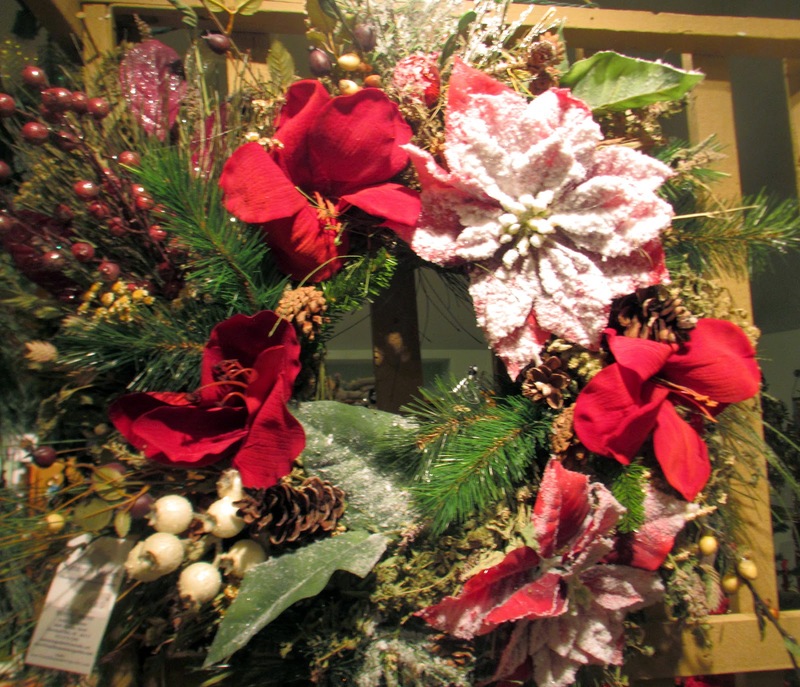 25% OFF HOLIDAY STAKES AND WREATHS! 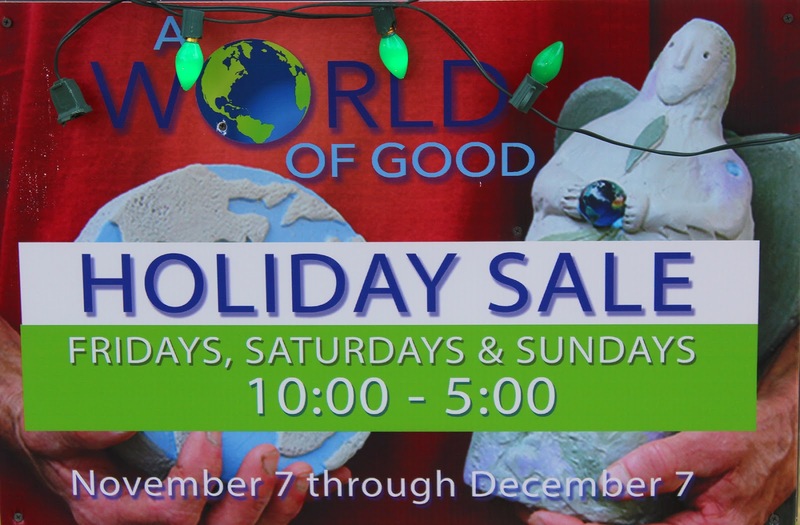 Come shop A WORLD Of GOOD for our final weekend, December 5, 6 and 7 from 10-5 each day. 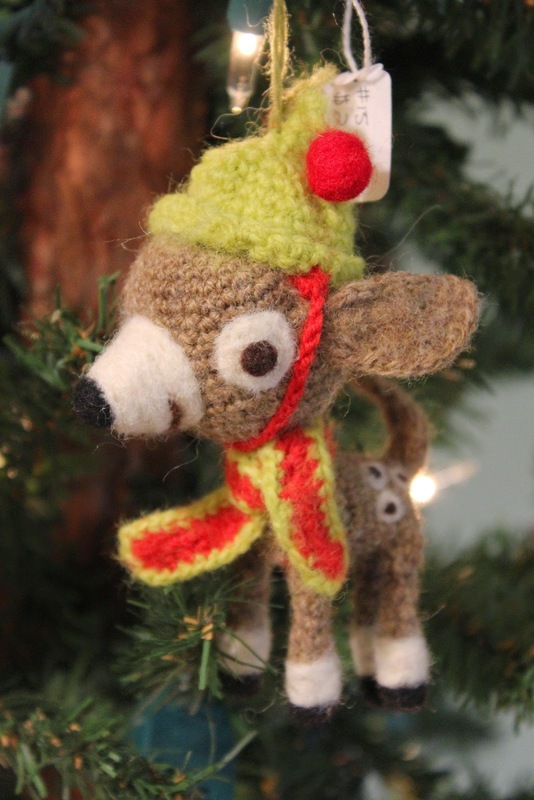 Saturday is our Funday event with treats to sample, live musicians, drawings for great gift packages and Creative Workshops where you can work with artists to make a gift for Christmas. We have specials on select products that day as well. How about this? 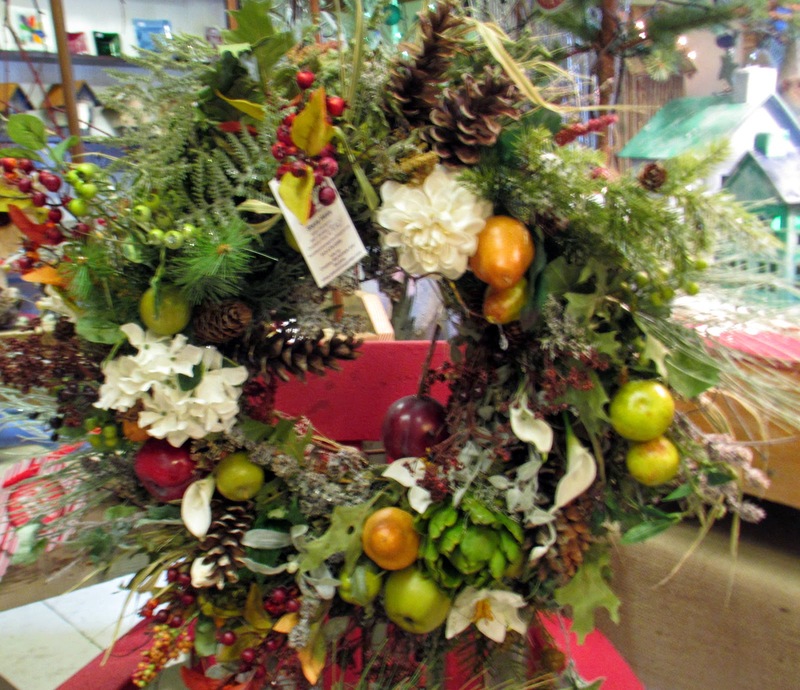 All holiday stakes and wreaths are 25% off that day, all day! 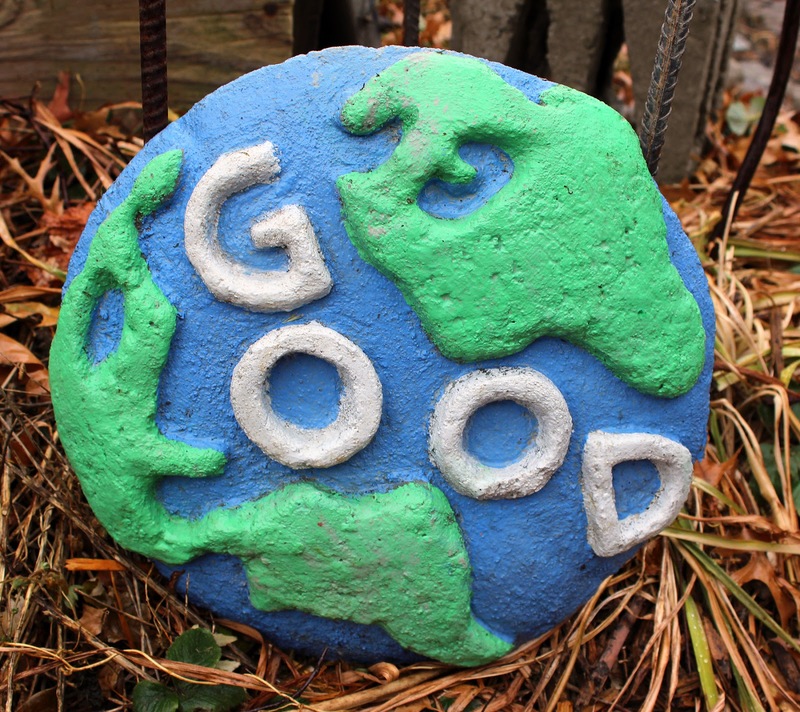 What in the world is A WORLD OF GOOD? Take a look! 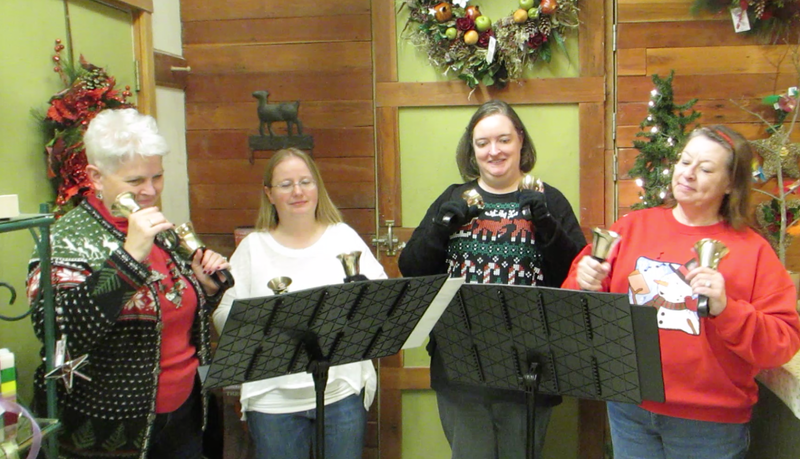 The Heartland Bell Ringers will be playing at our special event this coming Saturday, December 6. 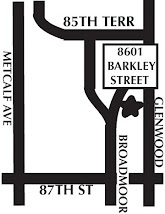 The event runs the full day of the sale from 10-5 and they will play live from 1:00 to 3:00. Come hear them...they are terrific! 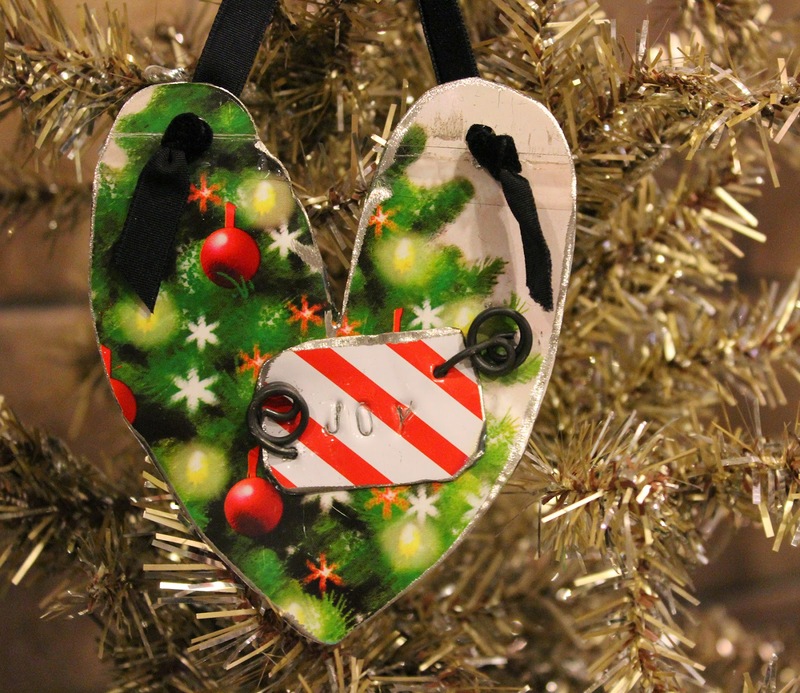 PUT TOGETHER A CLEVER GIFT FOR UNDER $10! 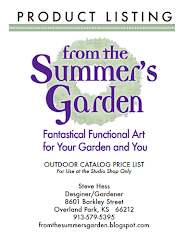 If you are looking for Christmas ornaments as a small gift for a club or group event you'll find unusual ornaments at great prices at From the Summer's Garden. 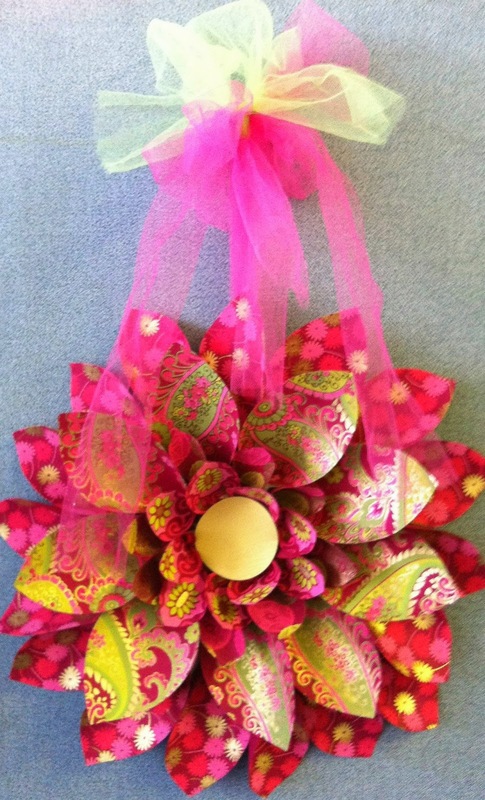 You can actually make a nice gift bundle for under $10 that will include several items rather than just one. from 10:00 to 5:00 through December 7. 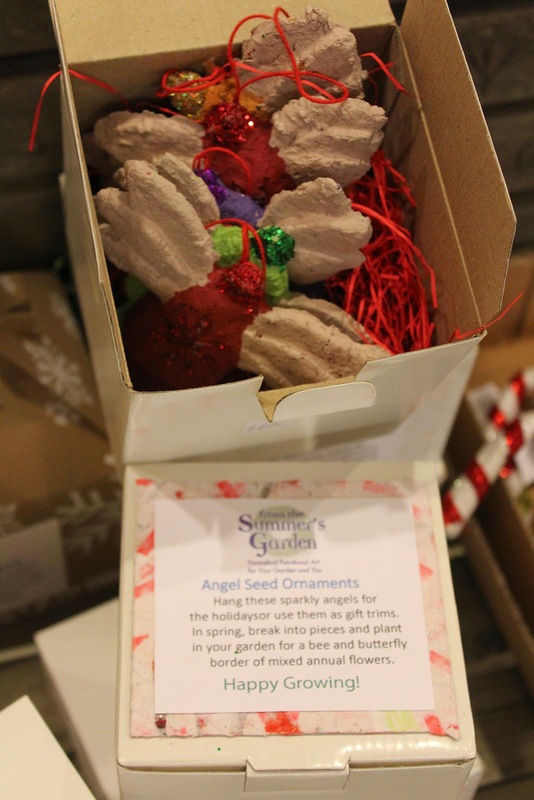 These contain flower seeds and when you plant them in spring they grow into flowers. 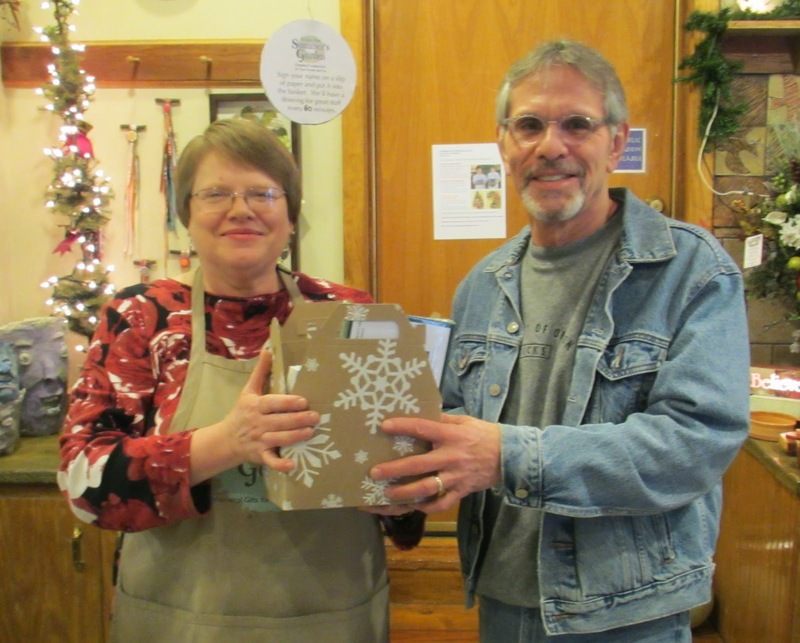 Drawings for prizes were held every hour at Fun Day today. 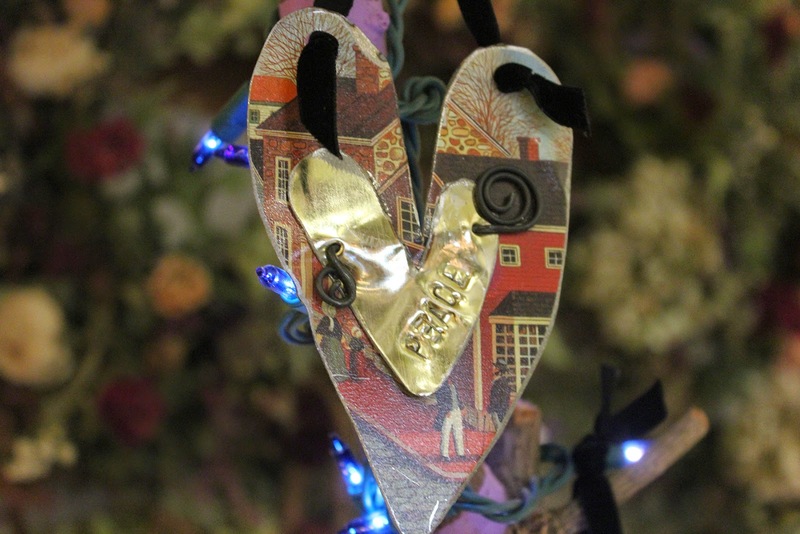 Shoppers also got a chance to particiapte in Creative Workshops in the studio throughout the day. 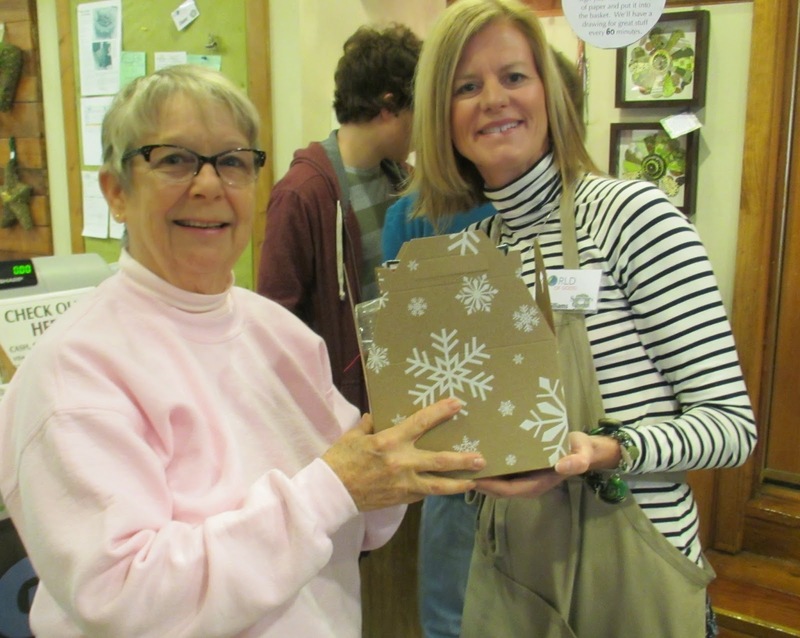 We made Cardboard Box Hypertufa Containers, Tufa Owl Baskets and Candy Cane and Tree Door Wreaths. 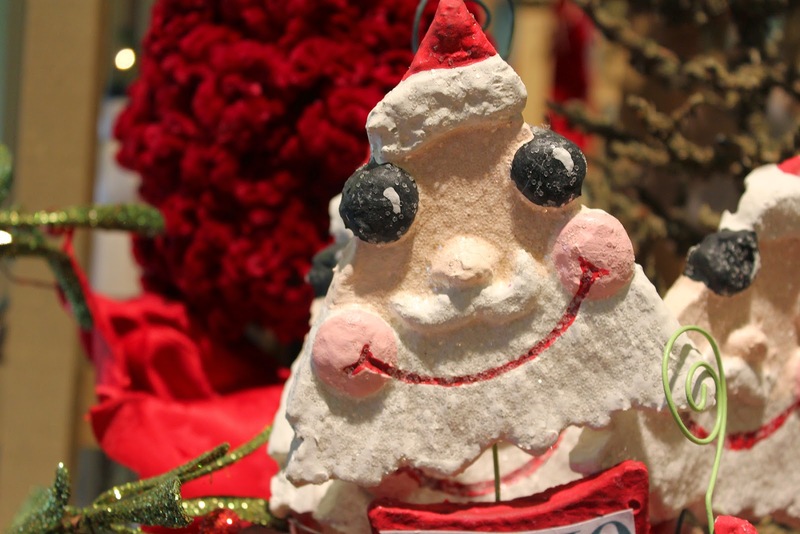 We'll have one more Fun Day on Saturday, December 6. Join us for some fun! 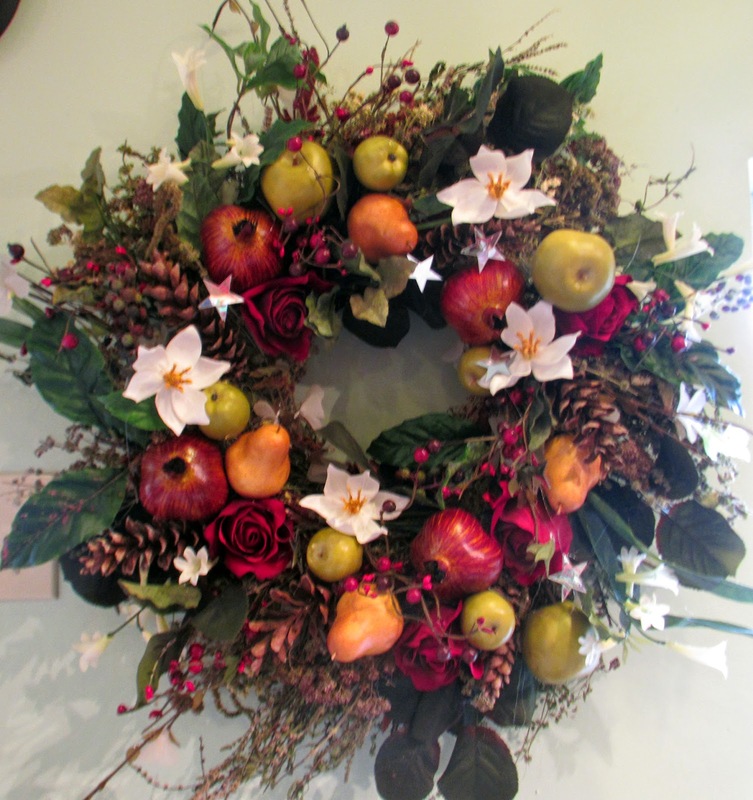 Nina Ward has a mouth-watering selection of interesting premade dips for the holdiays. 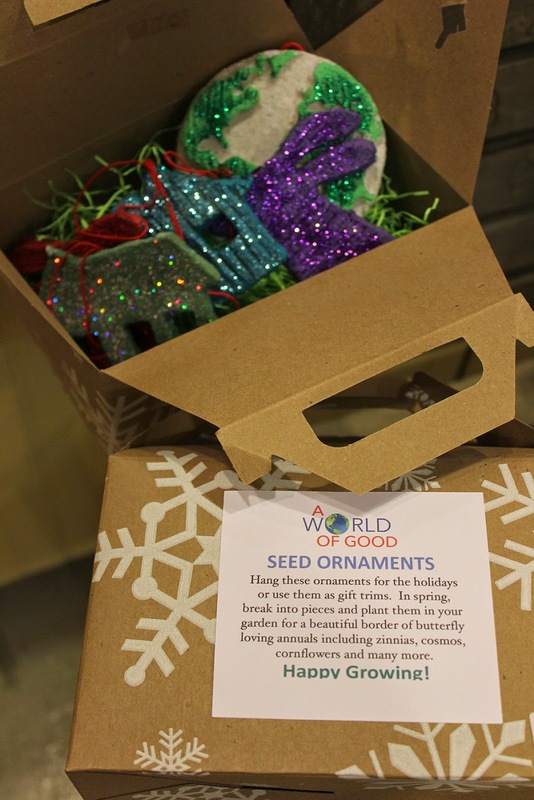 You can use them ready-to-go from the jar and you can also make some pretty cool "dressed up" treats for the holdays. Here are four great ideas using two of the dips: Artichoke Leaf and Luscious Lemony Cheesecake Fondue . Mix 2 cups chipped cooked chicken with 1 jar of Artichoke Leaf Dip and spread into a buttered ovenproof baking dish. Sprinkle with bacon bits and your favorite chipped olives. Top with herbed bread crumbs. Bake for ½ hour at 350 degrees F. Serve hot with with crackers or chips. Prepare your favorite pasta as usual, saving a little water after draining. Saute 1 cup chopped red peppers with garlic and add 2 cups chopped cooked chicken. Mix in a jar of Artichoke Leaf Dip, thin with extra cooking water and toss with pasta.Transfer to buttered oven proof baking dish and top with shredded parmesan and romano cheeses. Place under hot broiler for 3-5 minutes to brown cheeses and warm through. Mix Luscious Lemony Cheesecake Fondue Dip with ½ cup milk. Warm, over low heat until hot but not bubbling. Garnish with fresh lemon zest and a dot of butter. 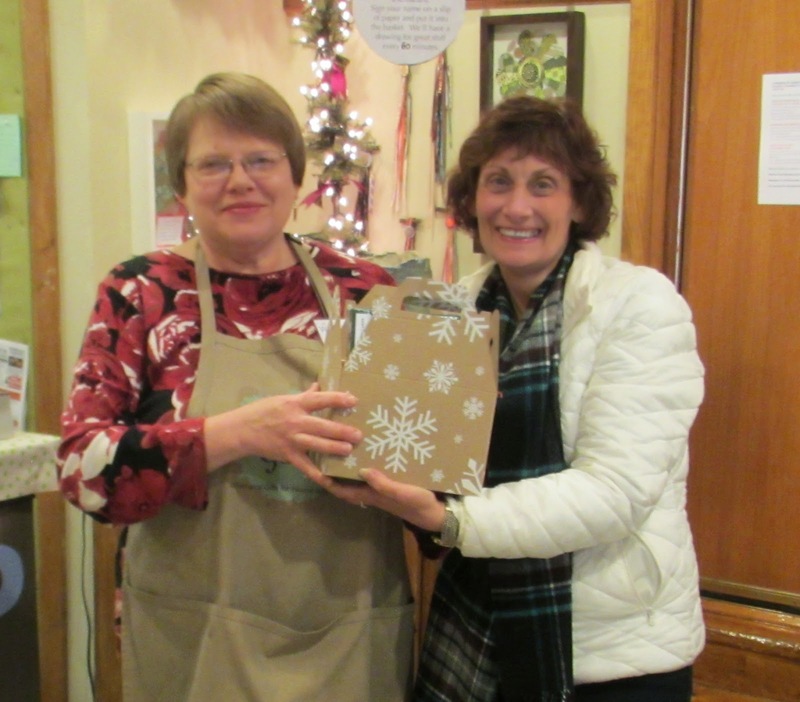 Serve warm with fondue sticks and an assortment of good things such as pound cake, graham crackers, vanilla wafers, ginger snaps and fresh fruit. Use your favorite pie crust recipe to form small tart shells and bake them same as you would your pie crust. You could simply by them prepared as well in a pinch. Spoon 1 TB of the Lemon Cheescake Dip into each of the tart shells. Place three fresh raspberries on top of each tart and garnish with whipped cream. Chill before serving. I am always amazed at the gifts and talents each person has to offer. Joe is one of our studio assistants at From the Summer's Garden. 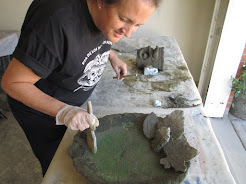 He is very good at casting concrete and makes a killer batch of hypertufa. 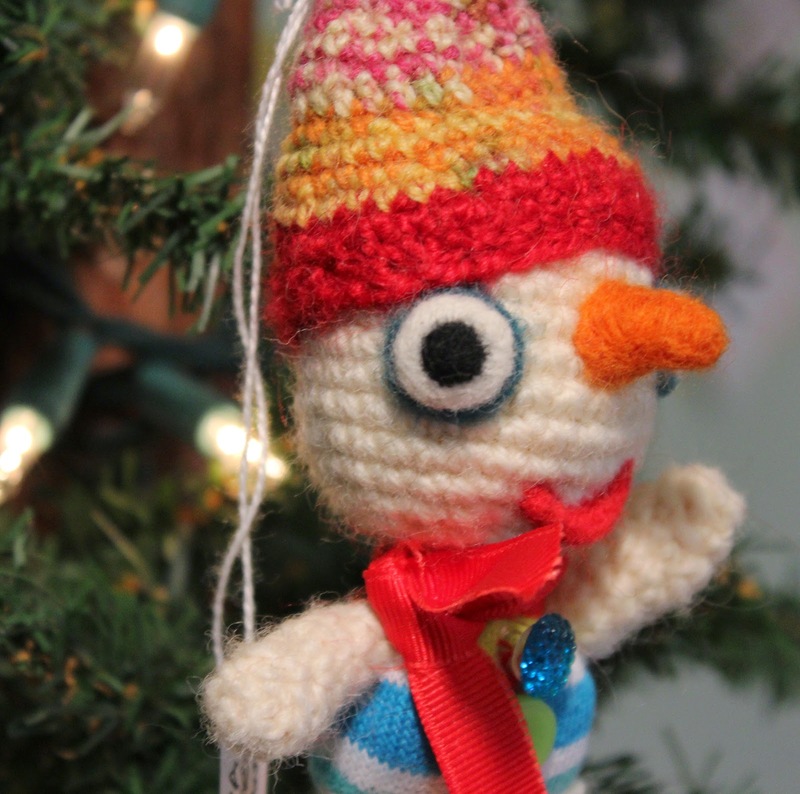 If you've participated in our studios you've most likely met him. Joe has creativity in spades since both of his parents are gifted artists. He has just completed his first collection for FTSG...introducing JOE BOWLS! 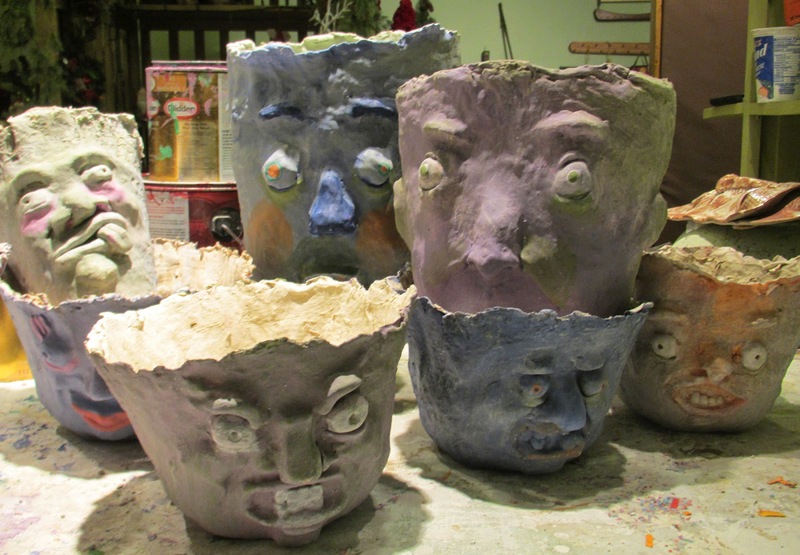 Joe has translated his love of cartooning into these awesome recycled paper 3-D bowls. They can actually be used to hold stuff, well, maybe not Jello or soup but they're perfect for candy or anything dry. 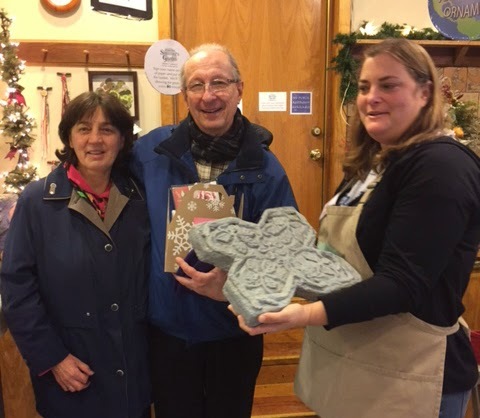 Joe Bowls will be among our handmade gifts and decor at A WORLD OF GOOD this weekend. You gotta see these things! 1. 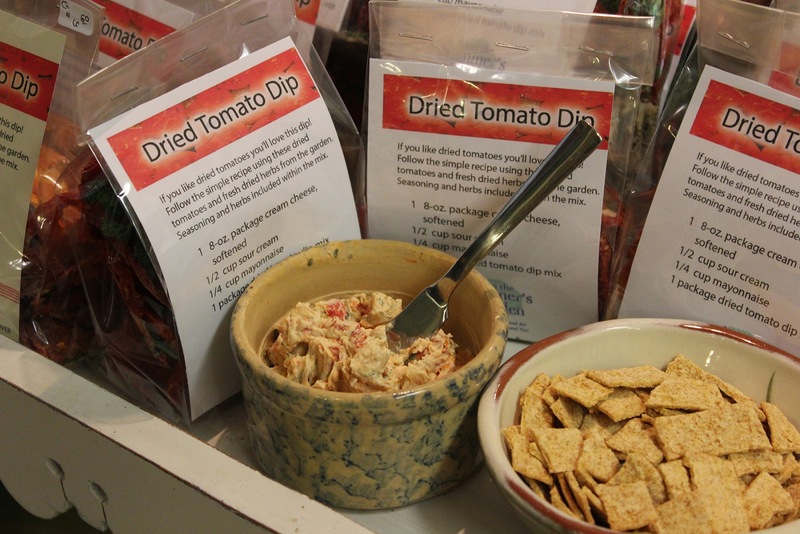 Mix up a batch of Tomato Dip as directed and set aside for flavors to blend. 3. Put 1 envelope (1/4 ounce) active dry yeast in another bowl. Whisk in 1/4 cup warm water, then 2 tablespoons of olive oil. Let rest until the liquid begins to foam, about 10 minutes, then pour this mixture into the center of the flour. Mix the flour and yeast. Add 3/4 cup warm water to the flour and mix again until the dough pulls together in a single, unified mass. 4. Turn out onto a lightly floured surface and begin to knead the dough by working it with the heel of your hand to create a smooth ball of dough free of stickiness. This should take 6 to 8 minutes. 5. Brush a clean, bowl with the olive oil and put the ball of dough in the bowl. Cover with a clean cloth and let rise at room temperature until it has doubled in size, 1 1/2 to 2 hours. 6. When the dough has risen, divide it in half, or thirds for thinner pizzas, and shape the pieces into balls. Roll out balls of dough on floured surface. 7. Place on baking sheet sprinkled with cornmeal and lightly coat surface of dough with oil. Preheat oven to 400 degrees F.
8. Spread the tomato dip liberally over the entire surface of the dough ands top with shredded romano and asiago cheeses. 9. Bake in hot oven for 10-15 minutes until browned and bubbly. It’s delicious, it’s easy, it’s healthy and it will do you a world of good! SATURDAY, NOVEMBER 22- DAY OF FUN! Lynn had been doubting the wisdom of planting that bamboo. 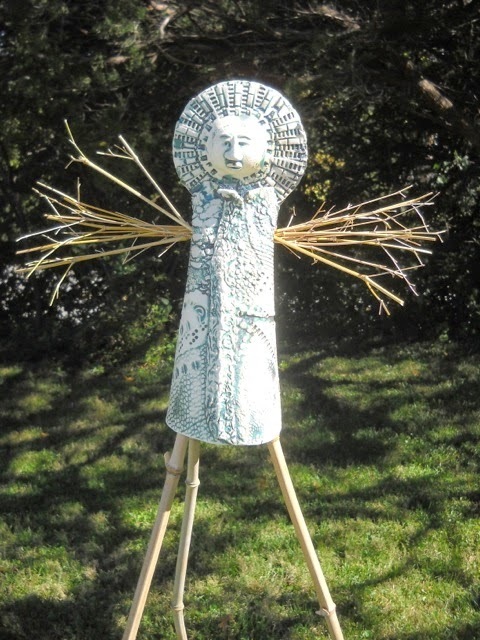 That is, until she saw how well it combines with her textured clay to produce these Bamboo Garden Angels! 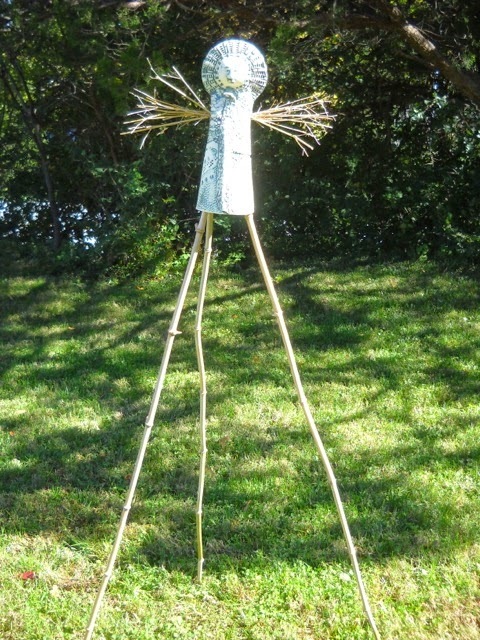 They come with stakes to be used as finials for garden trellises but could be used on a tabletop or in a planter as well. 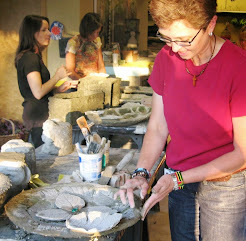 Lynn also continues to develop her hand built ceramic collection. Her new candy dishes are both fun and beautiful.